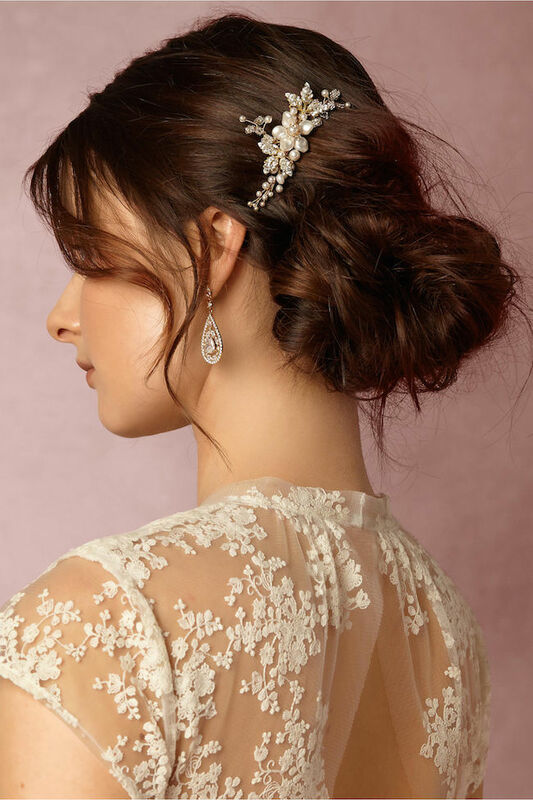 The Aries bridal hair comb is a beautifully balanced piece, handcrafted and designed for the modern romantic seeking a subtle yet detailed comb to finish her wedding day look. Absolutely exquisite, it features an organic floral silhouette bursting with intricately hand-woven details in ivory, silver and gold. Inspired by the beauty of the evening sky, the Aries creates a delightfully feminine look that embodies our signature fine details and romantic aesthetic. *LIMITED QUANTITIES – Due to the popularity of the Aries comb, we have limited materials available to create this design. If you love this comb, we recommend you secure it before we are no longer able to recreate it. Featuring Swarovski crystals, brass findings, Swarovski pearls, freshwater pearls, Czech seed beads. The Aries headpiece is ready to ship. Please allow 5-7 business days for your order to be processed plus delivery times. 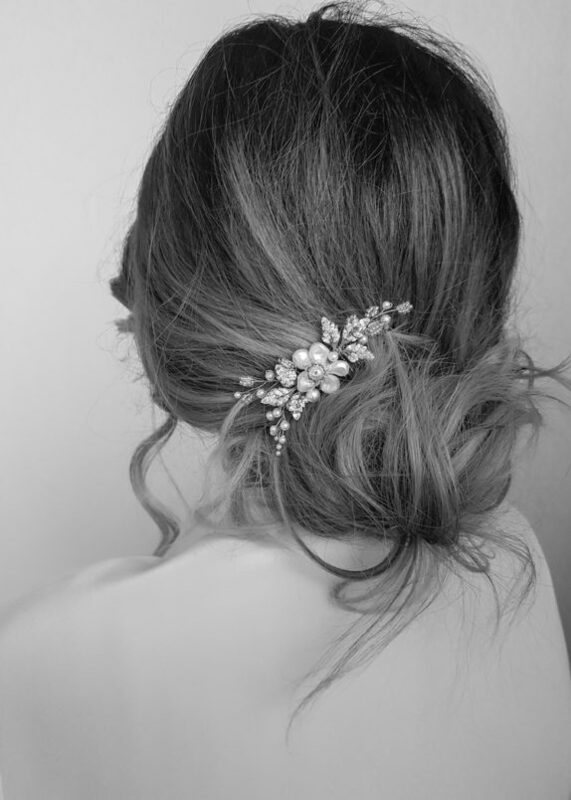 The Aries is one of our beloved pieces for side swept looks and romantic updos. It’s our go to piece when we’re looking to achieve a demure yet gorgeous luxe bridal vibe. Aries may be small but its exquisite details make it a standout piece. We love to pair it with or without a wedding veil with the Aries secured to the side. We recommend pairing this comb with a raw edge veil, a scalloped lace veil or a silver crystal encrusted veil to let the beauty of this intricately detailed piece take centre stage. Browse our full veil collection or contact us and we’d be happy to offer a recommendation to suit the Aries based on your wedding dress and hairstyle.